The plant is indigenous to South America and is said to originate from the area between southern Brazil and Paraguay; however, little is known about the origin of the domesticated pineapple (Pickersgill, 1976). MS Bertoni (1919) considered the Paraná–Paraguay River drainages to be the place of origin of A. comosus. 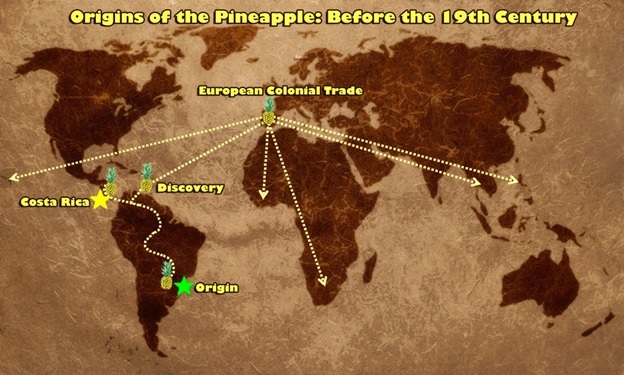 The natives of southern Brazil and Paraguay spread the pineapple throughout South America, and it eventually reached the Caribbean, Central America, and Mexico, where it was cultivated by the Mayas and the Aztecs. 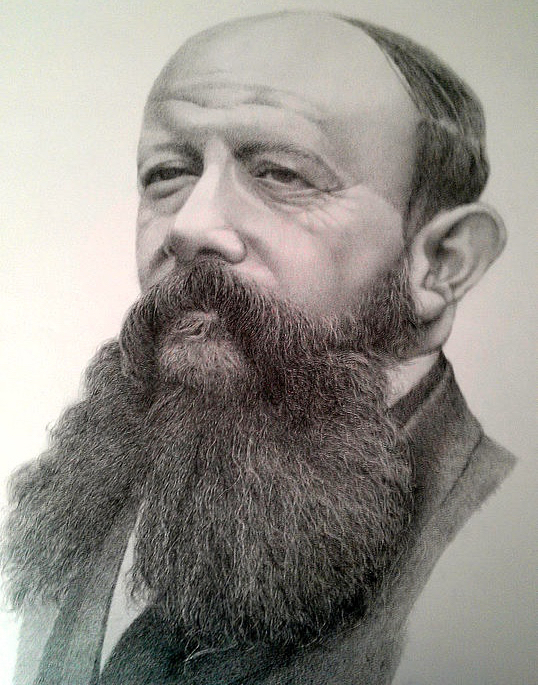 Mosè Giacomo Bertoni, known in Spanish as Moisés Santiago Bertoni, was an italian speaking Swiss botanist. Columbus encountered the pineapple in 1493 on the leeward island of Guadeloupe. 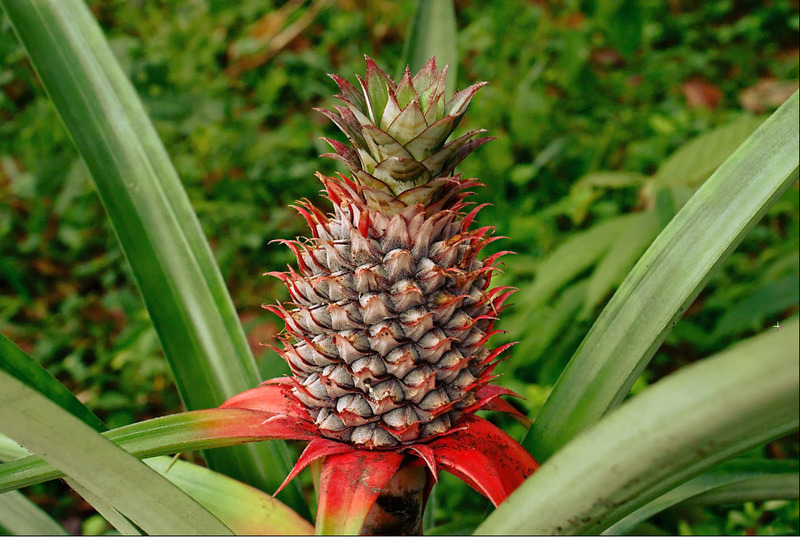 He called it piña de Indes, meaning “pine of the Indians”, and brought it back with him to Spain, thus making the pineapple the first bromeliad to be introduced by humans outside of the New World. The Spanish introduced it into the Philippines, Hawaii (introduced in the early 19th century, first commercial plantation 1886), Zimbabwe, and Guam. The fruit is said to have been first introduced in Hawaii when a Spanish ship brought it there in the 1500s. The Portuguese took the fruit from Brazil and introduced it into India by 1550. 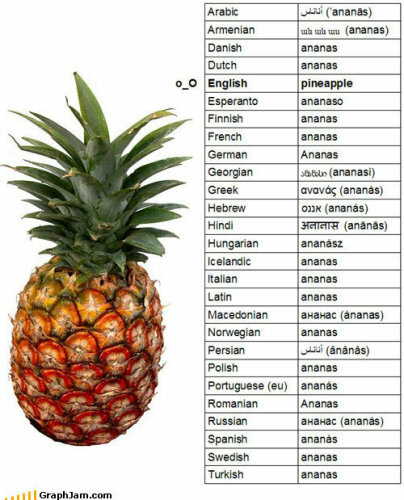 While other languages refer to the fruit as “ananas” or something similar, in English we call it “pineapple” and in Spanish it’s referred to as “piña.” According to the Natural History Museum in London, the pineapple “was first discovered by the Tupi-Guaraní Indian tribe, and then in 1493 on Guadaloupe Island off the coast of Mexico during the second voyage of Christopher Columbus.” It was named “pineapple” by the European explorers due to its resemblance to a pine cone. In many countries, however, the prized fruit has a name similar to “ananas” that comes from the Tupi word “nanas,” meaning “excellent fruit,” and was recorded by André Thevet, a French Franciscan priest and explorer in 1555. 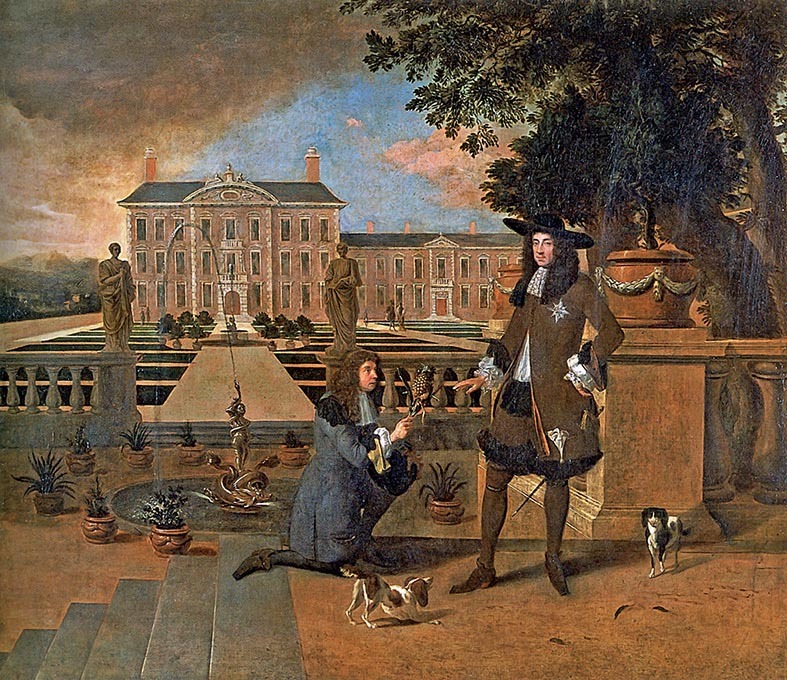 Pineapples eventually became a sought-after symbol of social class, prestige and hospitality. By the 16th century, Portuguese and Spanish explorers had introduced pineapples into many of their African, Asian and South Pacific colonies to cultivate the tropical fruit. Dating from the early 1st century A.D., this mosaic illustrates various food items. At the top of the scene, a basket of fruit is brimming with figs, grapes, pomegranates, and…a pineapple! The presence of this tropical fruit (Ananas comosus) has baffled historians because the plant is indigenous to South America, and wasn’t brought to Europe until the time of Christopher Columbus. Therefore before the discovery of the Americas, Europeans could not have known about pineapple. Or could they? 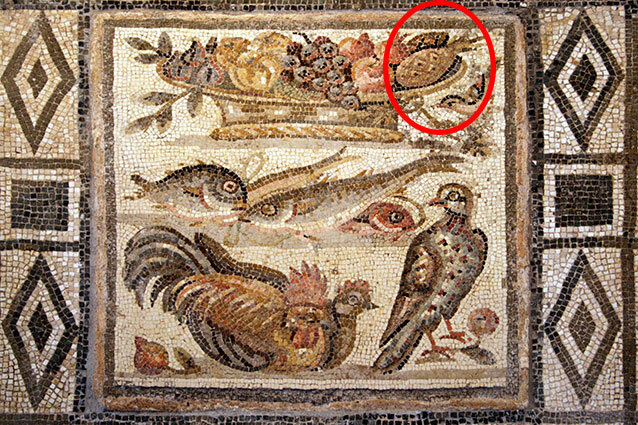 This mosaic floor isn’t the first time an object strikingly similar to a pineapple appears in Roman art. In Pompeii, a fresco discovered in the House of the Ephebe illustrates a child making an unusual offering to the gods: the fruit of a pineapple. 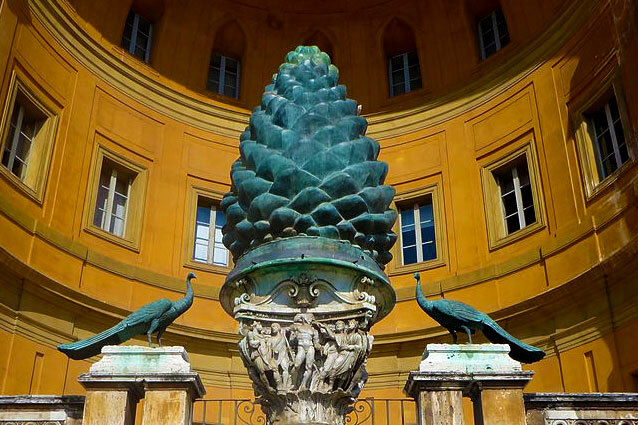 The presence of these pineapples has led to numerous theories about the possibility of contact between Native Americans and the ancient Romans. 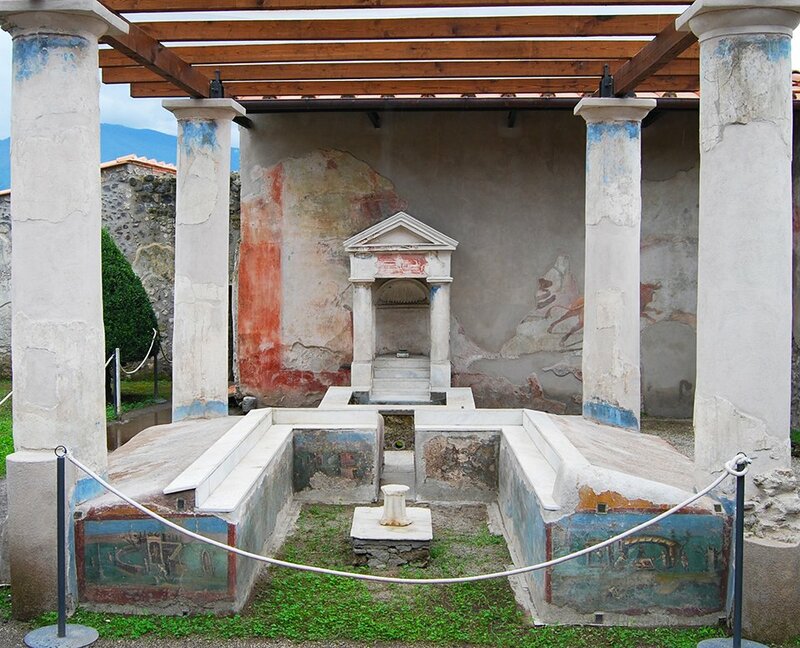 The most logical solution to this mystery, however, is that Roman artists were attempting to represent pinecones! By adding some foliage to make their pinecones more appealing, little did they know that their fruit baskets would baffle viewers several hundred years later.